The SDDOE will use this space to offer monthly spotlighted resource ideas that are being used and recommended by your fellow South Dakota educators. If you are currently using or have used resources from the Digital Library that you would highly recommend to a coworker, then why not share them across the state? Don’t hesitate to send great resources that you find in the SBAC Digital Library to Joe.Moran@state.sd.us as we are always looking to hear about what is working in your classroom! April’s Spotlight Resource brings a new excitement to developing two-column proofs in a group style format. This lesson allows the teacher some freedom on how they can arrange their groups to best serve their purpose of helping their students master this geometry standard. Proofs are arranged on a map, and statements/reasons are arranged to be cut out, and then let the fun begin! Students place the pieces in the correct order on the map to complete the proof. The teacher has the freedom to leave the matching statements and reasons together to make arranging the proofs slightly easier, or cut everything apart and let the challenge unfold. 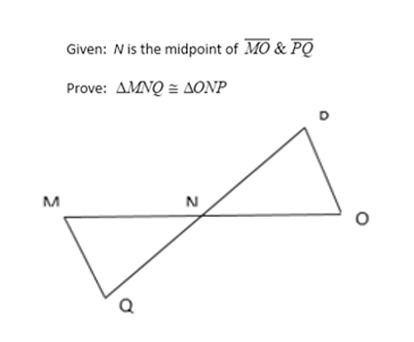 This is a great activity to highlight the flow of a proof and easily modified to fit the needs of the teacher and/or students. Click on the picture to link to the resource. You will need your Digital Library username and password. If you are currently not registered, then click here for registration with your school issues email account as your username! March’s Spotlight Resource helps teachers take the quadratic equations and problem based learning to the next level! 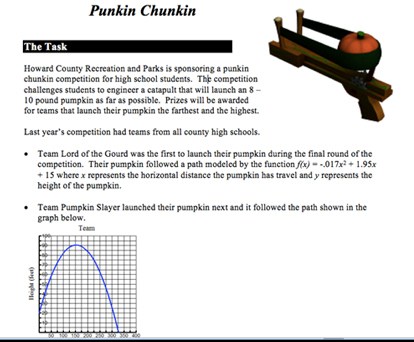 This lesson allows students to work with measurements and graphing to determine the winner of a "Punkin Chunkin" contest. This problem-based lesson intrigues students as they work through the calculations of the pumpkin launching by using different known values such as height and distance to figure unknown values. This lesson offers a fun way to work with math in a way that is realistic. It goes without saying this lesson will inspire students to not only work with the quadratic equation, but warning, they may also want to build a pumpkin catapult! Check out the new Digital Library Homepage! Saves you time. It's four times faster, and automatically displays resources that align with your subject area and grade-level. Saves you energy. Each resource type has it's own search page, and distinguished resources are always displayed at the top. Keeps you connected. 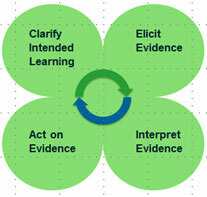 Instructional resources are linked to Smarter Balanced assessment targets. The attached flier and this short video demonstrate the new search experience. If you haven’t used the Digital Library in a while, we encourage you to log on now. And if you haven’t yet registered for the Digital Library, visit www.sbdigitallibrary.org to learn more and sign up for a new account. Smarter Balanced defines formative assessment as a deliberate process utilized by teachers and students during instruction to provide actionable feedback, which is then used to adjust ongoing teaching and learning strategies to improve students’ attainment of curricular learning targets/goals. What is the difference between resources? 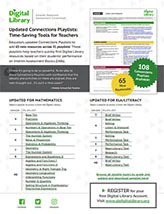 An Instructional Resource is a file in the Digital Library that helps educators focus their instruction on the South Dakota standards using formative assessment practices that help educators develop practices that support more in-depth learning. A Professional Learning Resource is a file that helps educators deepen their understanding of the South Dakota standards, the formative assessment process, and a balanced assessment system. Some resources in the Digital Library serve both purposes and are labeled Combination of Instructional and Professional Learning Resource. For more information about the Digital Library, contact Joe Moran at (605) 773–3247.